One morning, I sat down to write feeling crazy and desperate. I wrote: “It’s all hopeless. So many times I’ve put my heart out on the line – in a post, a proposal – and received no response. Hearing nothing is worse than hearing no. Ask any writer, any artist. You can move on from a ‘no.’ But a ‘nothing’ can eat you alive. “Honey, you’ve been looking to others for approval, but – surprise! – you need to look elsewhere. You need simpler measures for success: Did I write today? Did I publish that post? Did I do the work? Now is a woman with a tear-stained face, sitting in a chair. The chair was given to her as a gift by her true friend. “To support you in your writing,” she said. Now is the sound of the woman’s hands typing on the keyboard. The laptop was given to her as a gift by her wonderful family. “To support you in your writing,” they said. Now is looking around her writing room. This room was given to her as a gift, renovated by her loving husband. “To support you in your writing,” he said. Now, as it turns out, has nothing whatsoever to do with lack or uncertainty. Now is being surrounded by gifts, by certain grace. If you’re anything like me, you’ve been waiting for a passport to a foreign country called Contentment. You’ve been standing in line and filling out forms and getting frustrated with everything around you. You do this even though this strategy has never worked before and isn’t likely to start working now. But every once in a while, you catch a glimpse of reality. You see, however fleetingly, that there’s another way to go about your days. And that way opens up before you when you realize that all the time – all the time! – you were always and already a citizen. You never needed a passport to get to Contentment. You didn’t need to waste time waiting in line. You just did that because you wanted those stamps. 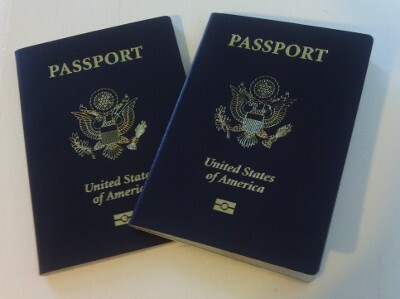 You wanted your passport covered in permission, decked out in approval. You wanted proof: Yes, you’re good enough. Yes, you’re welcome here. But you don’t need stamps or a passport if you’re already home. Thanks to Wes Wages and the talented people at Armosa Studios for their wonderful work, singer/songwriter Tiffany Thompson for providing the lovely music, and dear friends Camille Goldston Bennett and Kristy McKinney for donating their time, support, and hugs. PS — Let’s meet in person, shall we? If you need a speaker for your next event, reach out now — I’m currently booking events for Spring 2014. To facilitate the process, I’ve released a brand-new Speaking Kit and Media Kit. Enjoy! What do you think of the video? Join the conversation in the comments! 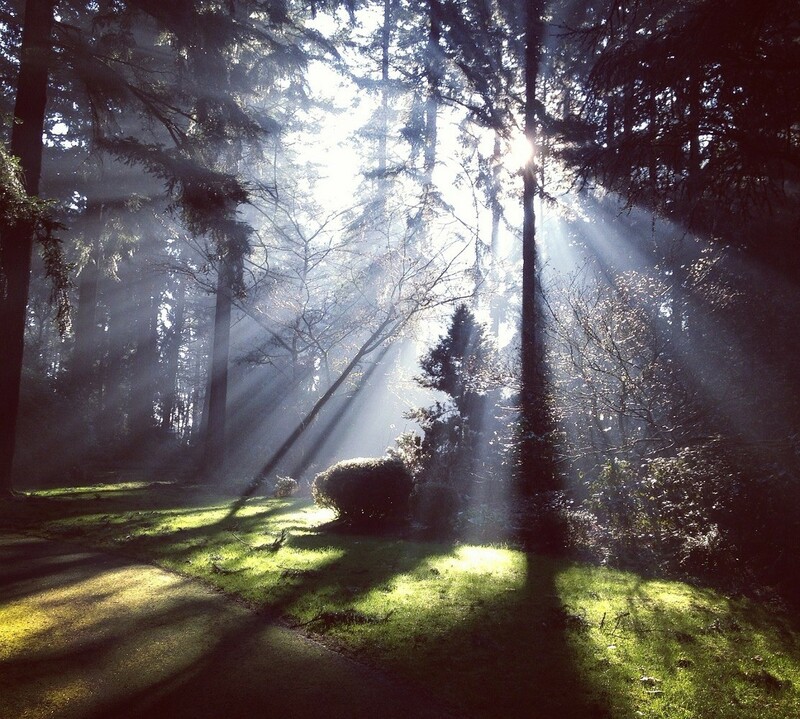 Have you ever looked at a photograph and thought, What a window into another world ? That’s how I feel when I see this picture of my friends Gene and Allison, snapped at a L’Arche dance in July 2007. At the time, I’d been at L’Arche just over a month, and so, though we liked each other immediately, we were all relative strangers then. 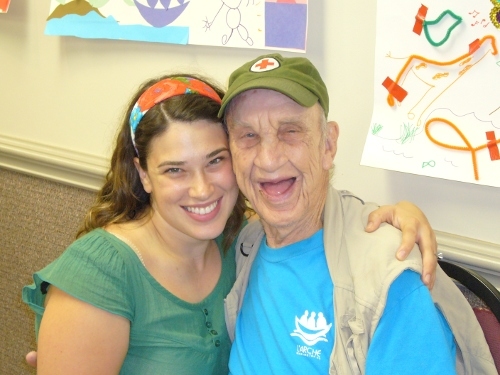 We didn’t know how hard and how beautiful our life at L’Arche would be. We didn’t know that our hearts would be broken, over and over again. We didn’t know that, four years later, we’d have to say goodbye to Gene. We didn’t know that Allison would have to face cancer. Yet, by the same token, we also didn’t know that Allison and I would become such close friends. We didn’t know that we’d be able to feel the end of Gene’s life, that we’d be so connected to him as to know, even from afar, when his earthly life was at an end. We didn’t know all that we would go through, but we also didn’t know all that would sustain us. I’ve been babysitting for Allison’s young son this week as she goes to doctor’s appointments. And even though I’m clearly caring for him, there’s a way in which he’s also caring for me. His innate optimism is helping me (and Allison and her husband, Mike) to stay sane amidst an insane situation. And nowhere was that clearer to me than when I walked him to the park on a bitter-cold day to play on the swings. Allison had told me how much he loved the swings, but still, I wasn’t prepared for his reaction. When I gathered him up and pushed him on the toddler swing, I saw such joyful innocence in every line of his face. He was lit up with laughter, cooing and babbling as he swung back and forth. It brought tears to my eyes, this little boy whose mom didn’t know if she’d live to see him grow up, beaming at me. As I pushed, I felt a lump in my throat, but I sang to him with the same freedom I’d felt as I sang to Gene the last time I saw him. But instead of a song of farewell, I sang a chorus of contentment from Dido’s song, “Us 2 Little gods”. Just this day, I need no other. Just this life, I need no more. Just this moment, let it all stop here. Let it all stop here, I’ve had my fill. And I could see that this little boy’s happiness — like Allison and Gene’s in the photo — was based upon the sufficiency of the present moment. He imagined no future sorrow, anticipated no future joy. He was simply present, glad to be alive and swinging. You can consider this naive and thoughtless, if you like. For my part, I consider it a kind of wisdom that, as we grow, we all-too-easily forget. Perhaps this is what it means to become like little children … to let the present illumine us. To let our cup run over even in a world of loss and pain. To offer one another gifts in greeting and gifts in goodbye. And that was the gift a little child gave me: a return to the present, where, despite a world of suffering without and within, I wasn’t missing anything at all. Eventually, I had to lift the little boy out of the swing. (He cried, hating that we had to go.) We walked home through the cold, and my hands were numb, my face frozen. But my heart? My heart beat stronger than before. What helps you to stay present? Tell me in the comments! I love hearing your sharings and insights.